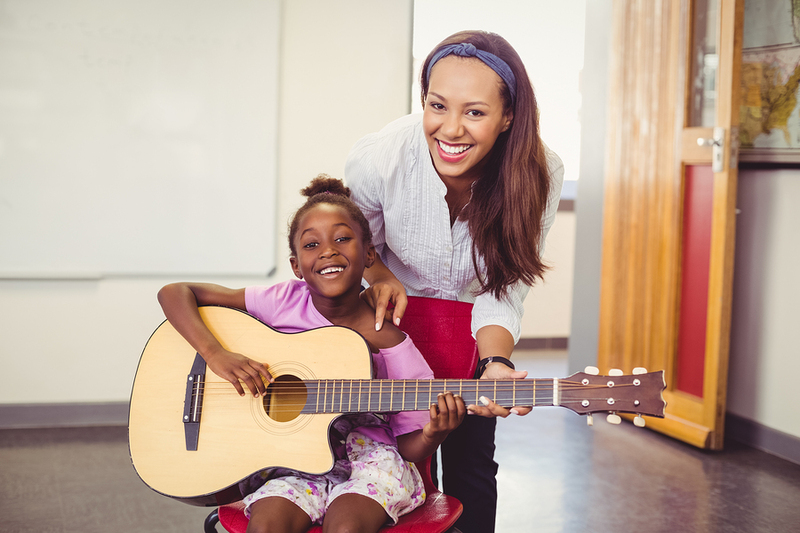 A career as a music teacher or instructor is a very unique profession to hold, considering the lasting effects you will have on those you teach and the daily activities a music teacher is involved in. This can range from teaching students how to read music, how to play an instrument, or vocal performance. For this reason, many music teachers specialize in specific areas of music where they have the experience- such as teaching how to play piano or sing opera. One can teach music within schools or be a private music teacher working from a studio or home. Public music teachers also usually have a lesson plan they follow, whereas the latter will have to adjust their lesson plans according to each child and their needs. What are the Steps to Become a Music Teacher/Instructor? On the other hand, becoming a private music instructor is less strenuous- there are no official requirements unless you are planning to work for a private company. Even then, the requirements will vary per company. Since having a degree in music is not necessarily needed, almost anyone can become a private music instructor. However, whether a person is qualified or not is an important point. While there is more flexibility when it comes to being a private music teacher, there are usually some minimum requirements that must be met in order to become a successful private instructor in your area. To see some of these requirements, check out these two blogs by Brian Jenkins and CareersinMusic.com. There is a huge difference between being a music teacher and being a great music teacher. If you are interested in this career path, you should strive to become the best music teacher you can so that the impact you make on a young musician's life is lasting. Want to know if you have some of the qualities needed? Let's take a look! This is just a small list, inspired by Jordan Smith and his blog on 10 Qualities of a Great Music Teacher. Being a music teacher, especially to young children, requires patience and dedication. It is not enough to be a skilled musician when taking on this job- you should also have a natural ability to work with children of all ages. This, of course, makes the job much more special! If you are deciding to be a music teacher, whether public or private, know that you will be making a lasting impact on your student's life. Not only will you be teaching them, but also guiding and instilling principles within them that will carry the rest of their lives. If this sounds like the career for you, don't hesitate! Start taking the necessary steps now because you won't regret it!